Hyper Fan - Best in its Class! Best in its class &ndash; delivering the highest CFM&#39;s per watt of any fan in the industry. Hyperfan&#39;s develop higher static pressures and higher airflows than any other mixed flow fans in the market. 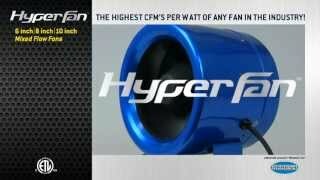 Watch this video to learn more about Hyper Fan! 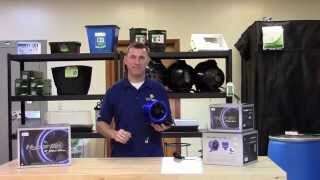 Hyper Fan Mixed Flow Fans Hyper Fans are in a class of their own with innovative features, benefits, value and backed with a 5 year warranty... these vibration-free fans are truly the best on the market.